Dogs are man’s best friend for a reason — they’re incredibly loyal and they make great companions. That is, unless, they are one of the dogs on this list. 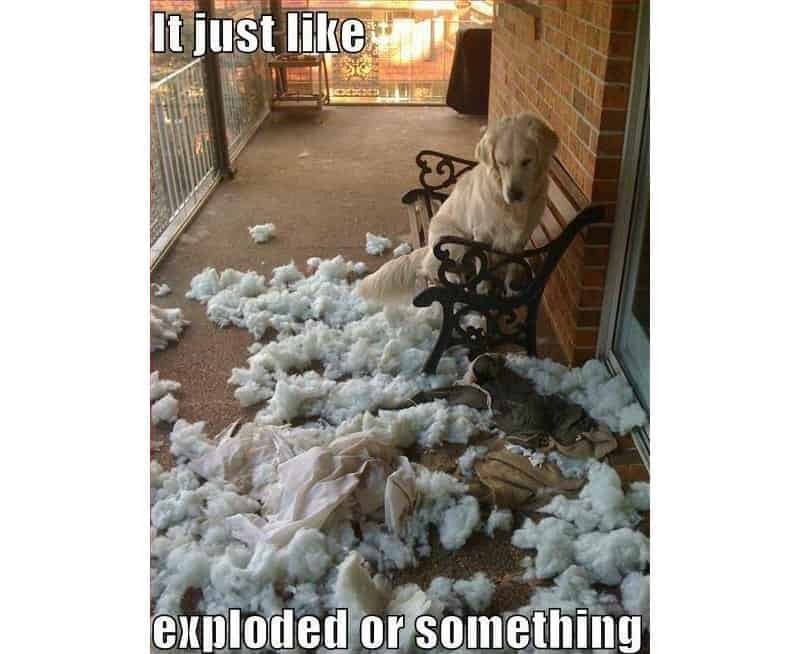 These dogs seem to have a knack for destroying everything they see, whether it is a couch, a door or even the wall — if you need something demolished, call these dogs! 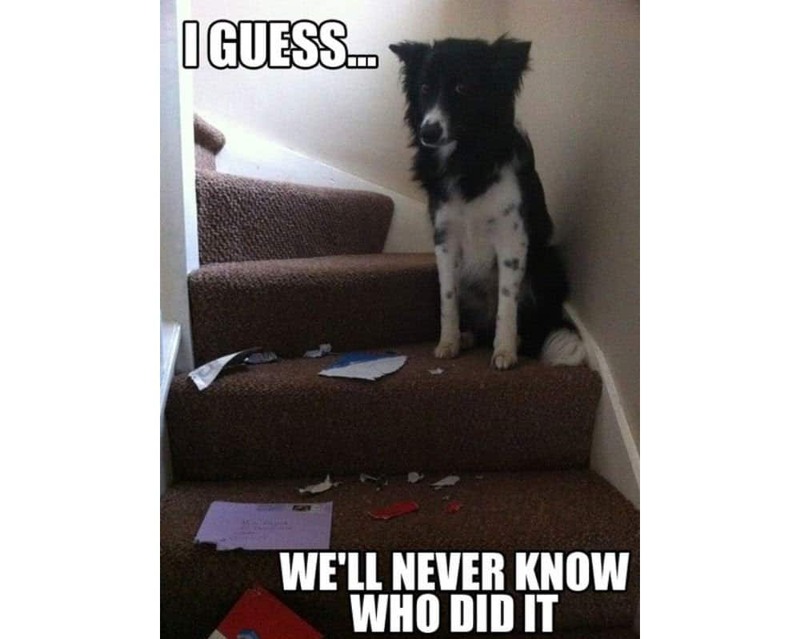 If your dog has ever done anything that deserves to be put on a list like this, don’t hesitate to send a picture to us. 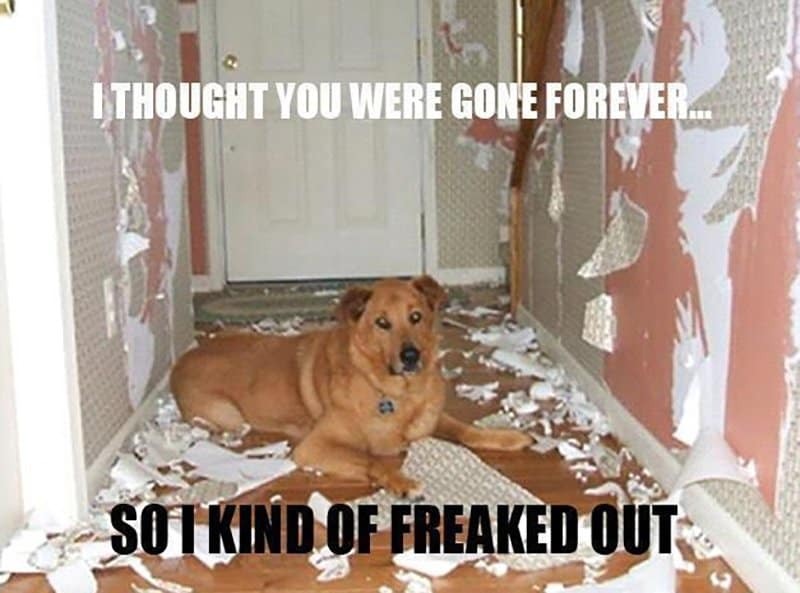 Here are some of the funniest and most destructive dog we could find on the internet! This seems like one of those dogs that will actually eat your homework, but your teacher won’t believe you. 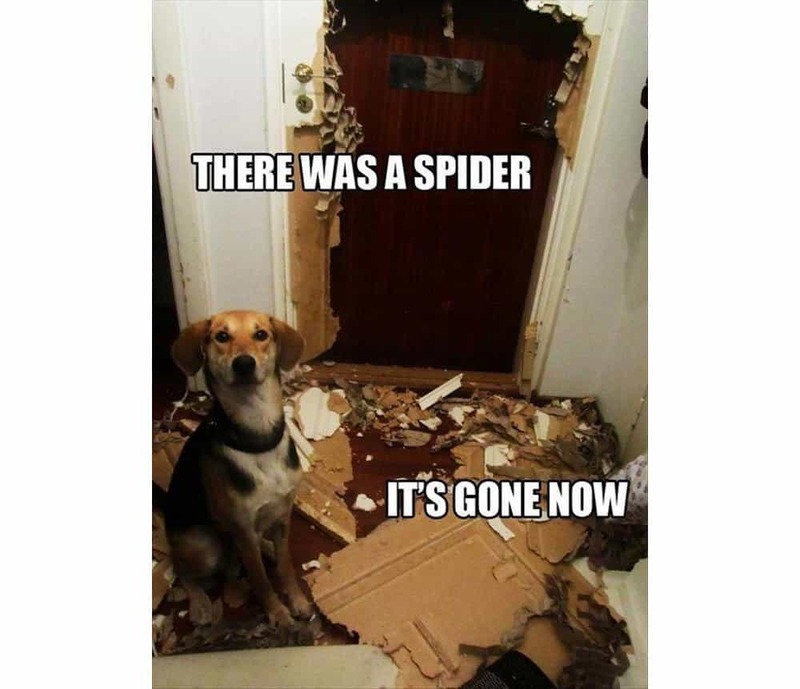 Everyone’s afraid of spiders, especially this dog. 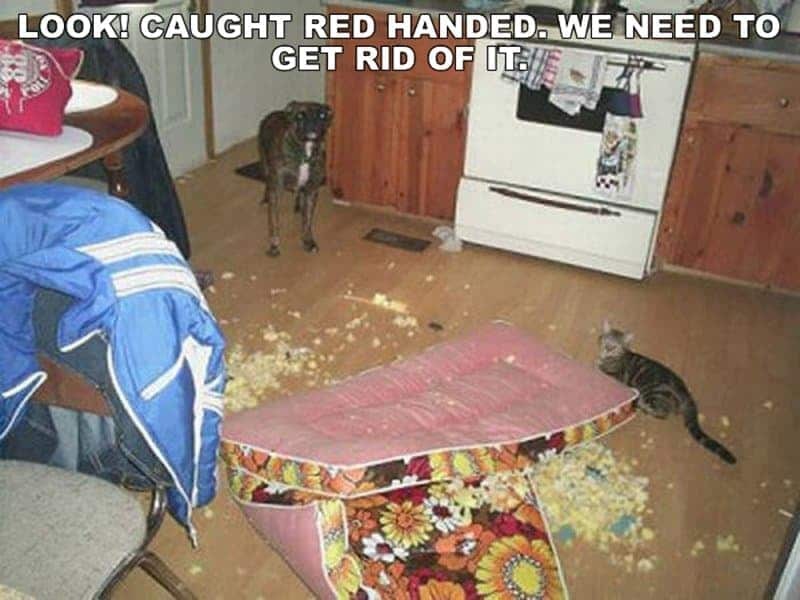 We feel sorry for the cat, having these four dogs ganging up on it. 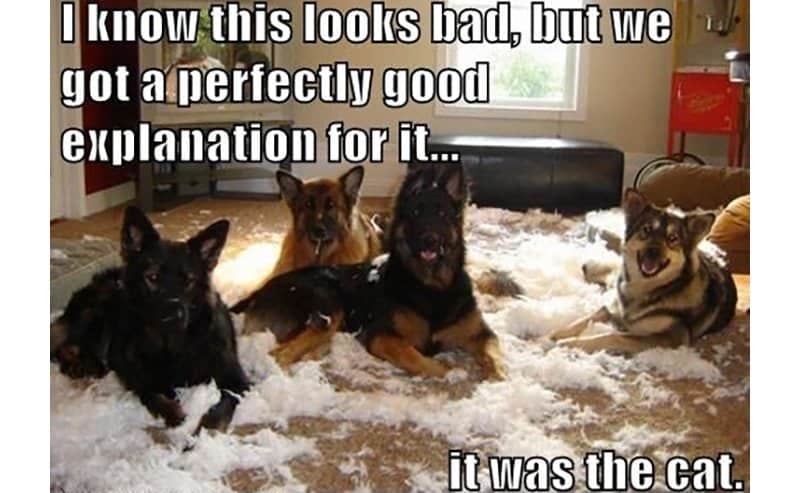 I can see the mess, but it wasn’t me — I swear! 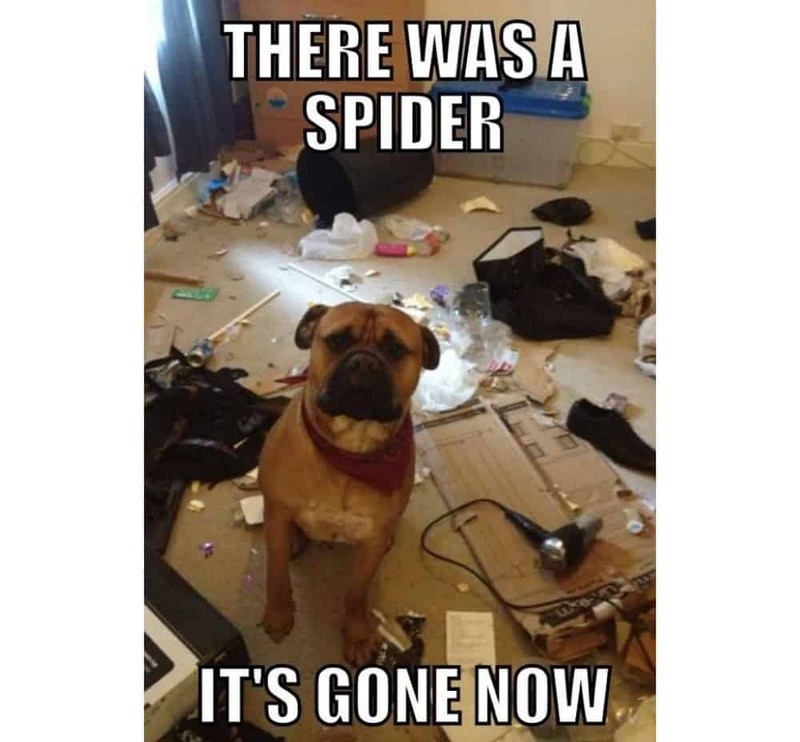 He had to destroy everything in sight, but what would you rather — a destroyed wall or a spider roaming free in your house? That’s right, the wall can be repaired. 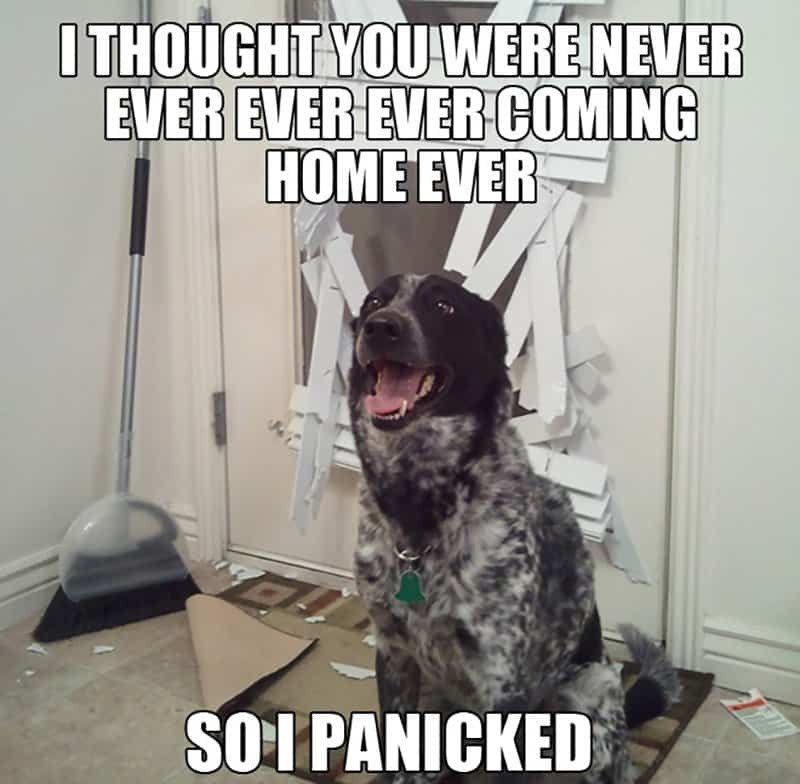 This is the canine version of the Overly Attached Girlfriend. 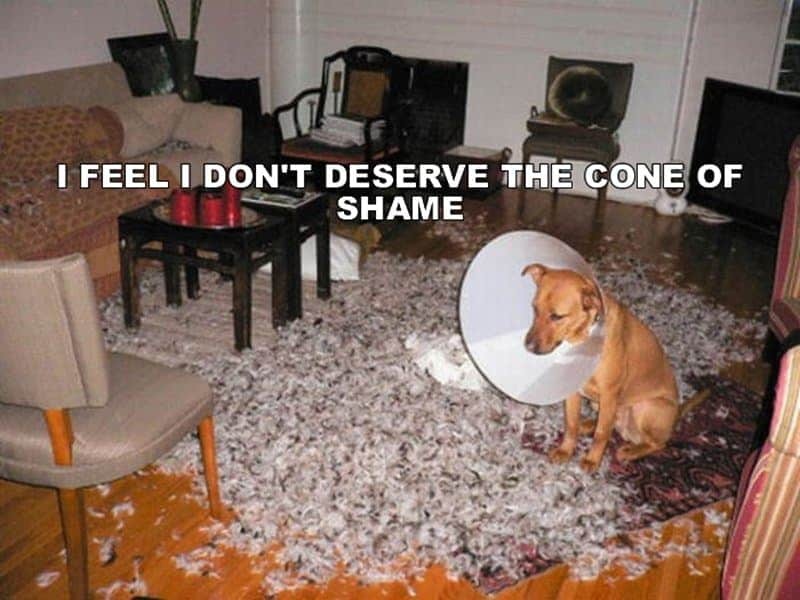 It’s always fun to poke fun at a dog or cat who is wearing the cone of shame, but this canine feels like he doesn’t deserve the ridicule. 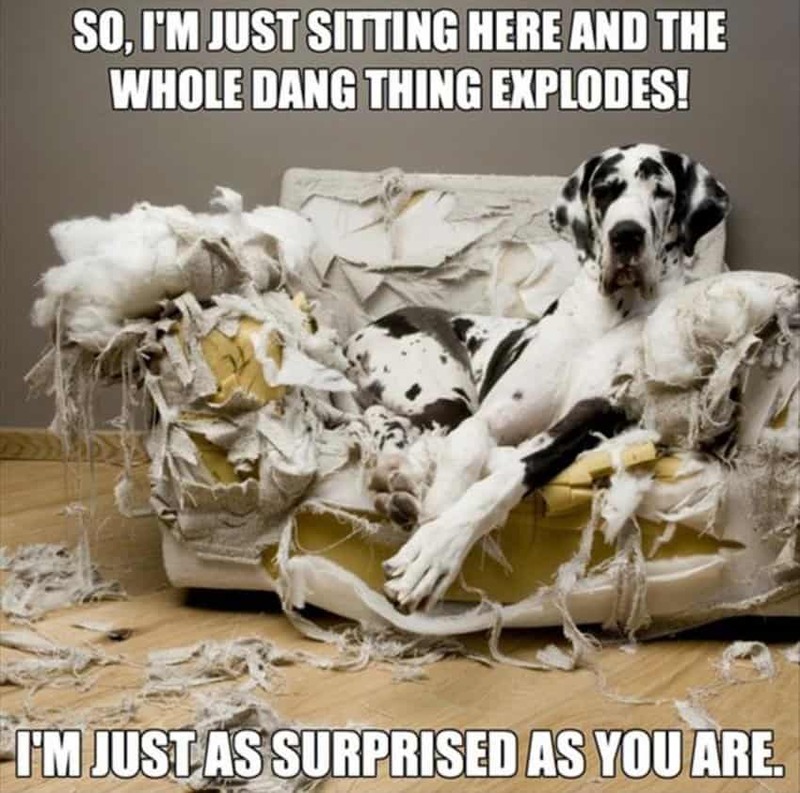 I can see that the couch is ruined, but believe me — it exploded when I was sitting on it! Dogs are always happy to see us when we come home from work, but it seems this dog couldn’t contain his excitement. Who wouldn’t pick the dog over the cat?